Clean theme for Aseprite 1.2+, focused on screen space and clarity. 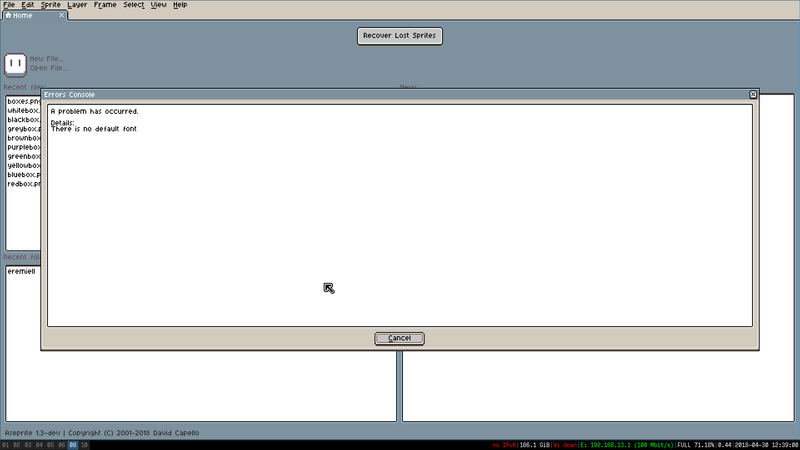 This theme is meant to be used with 'Screen Scaling', 'UI Elements Scaling' and 'Mouse Cursor Scale' set to 100%. If you donate any value you'll get an email when there's a new update. You can also follow to get updates via Itch.io. 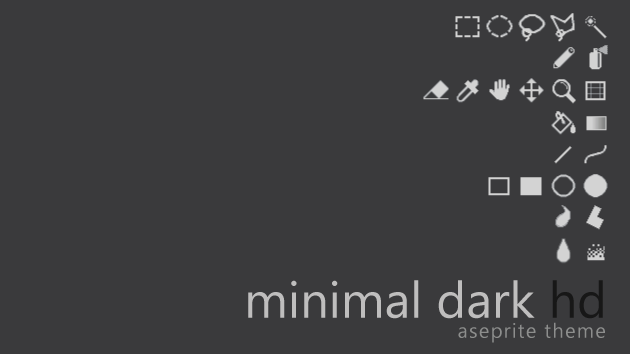 Minimal Dark HD 0.5 - High Resolution Icons and Pointers for Aseprite! I love the theme thank you, but for some reason everything is much smaller than it should be, making the skin almost unusable. If i setup the ui at 200% its way too big. It's the steam version and i have a normal 1920x1080 laptop monitor. There is maybe a way to force something lika a 130% ui scale? Unfortunately no, because of the way Aseprite works. To make the skin I had to double the resolution of the icons and the fonts, so technically it's already in 200%, that's why choosing 200% makes everything too big. Go to Preferences>Theme>Minimal Dark HD and choose "Open Folder"
Open the file "Theme.XML" on your favorite text editor, in this case I'm using Notepad++. 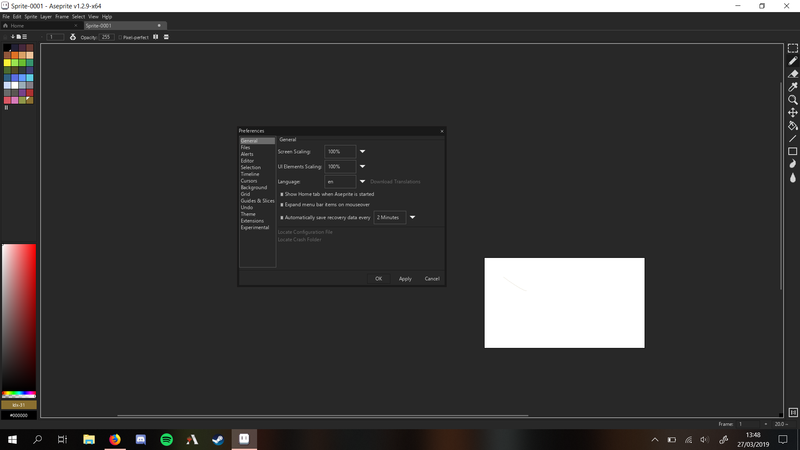 After making a change, just save it and press "F5" in the editor to hot-reload the UI. Thanks for the mini tutorial, very kind! Just wanted to point out, that on the Mac version, there appears to be a small UI bug on the active tab. Thank you so much for pointing it out, will check what is wrong and will get back to you soon. Managed to test it, it should be corrected, you can download the new version here: https://2dchaos.itch.io/minimal-dark-aseprite-theme/devlog/72567/061a-update-small-fix-for-osx Thanks for reporting! Thank you so much, hope you enjoy it! Hi there, be sure that you select "All Files" in the File Type drop-down on the Add Extension window, I'll add this step to the Install Instructions ;) In the next versions of Aseprite the .aseprite-extension should appear automaticaly in this filter. oh it's so obvious now you have said so oops... thank you so much! now i can truly say this theme is looking very good switching from ps to this has gotten a lot easier. thank you again! Hi, could you be more specific? 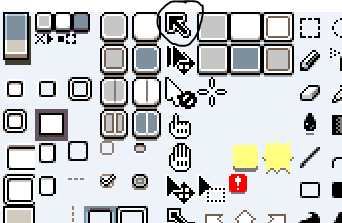 There are cursors in the theme, one for each individual tool and a generic one. Make sure that "Use Native mouse cursors" is unchecked in the options. when i installed the skin, there was no normal cursor. Only for the tools and some crosshairs. 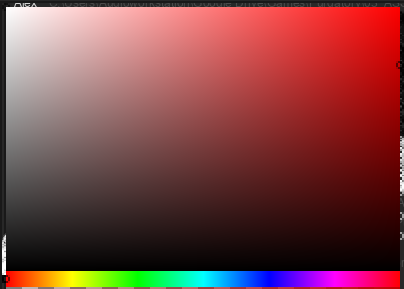 I looked on the image file and saw where the cursor would be but nothing was there. I just added my own so it's not a problem for me anymore. Ah, thanks for getting back to me, glad you could solve it! 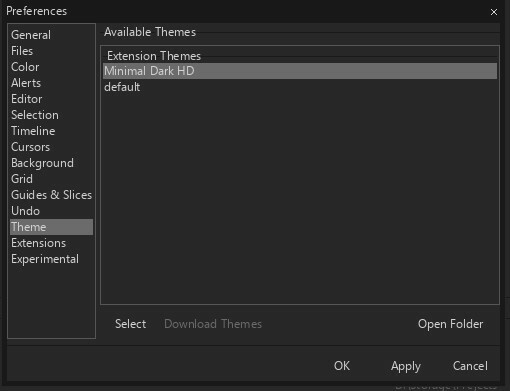 Did you install the theme using the Extension Manager? Are you sure there wasn't a cursor when you installed? The cursor is pretty small, could it be that? I'll ask for help testing this on the discord channel. I'm playing with your theme on Linux and I encountered this error. It only happens with the non-pixel-font version. The pixel-font version works alright. No, Arial is a Microsoft font. There are ways of installing in on Linux though. I'll try it out and report back. But yeah, picking something more universal or having different options for different OSes would be nice. So even with Arial installed I'm getting this issue. Heyy :D Just wanted to say, i absolutely love your theme, it makes Aseprite so much nicer to look at, especially with the new update. Finally managed to find the bug and correct it on version 0.4 of the theme! ^_^ Thanks for reporting! Best theme I've seen for Aseprite to date. Nice work. Thank you so much! ;) Glad you like it! 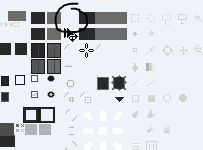 upgrade for new verssion aseprite pleaze ? 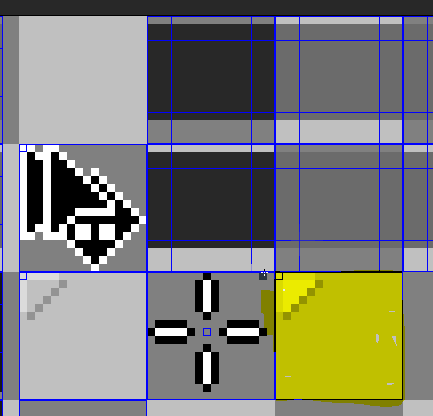 I'm using it in Aseprite 1.2beta12 without problems, are you sure you're using the latest beta? 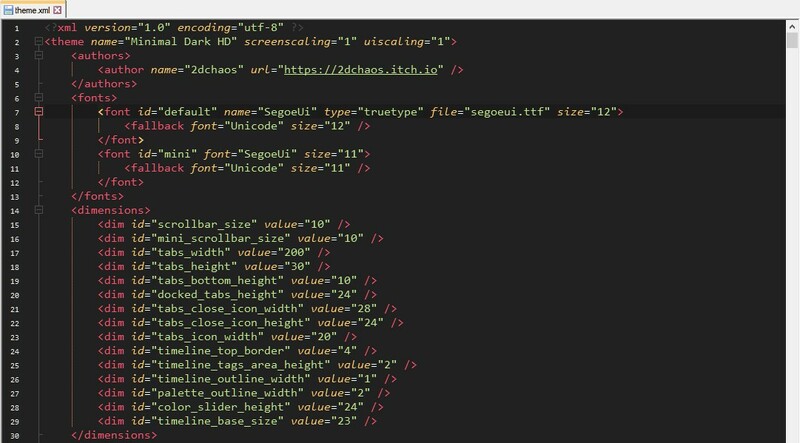 Sorry, I still don't understand, there's no need for package.json on the theme files. If you compiled it yourself I suggest you go to https://community.aseprite.org/ and ask questions there, since I'm using the steam version myself.